Video posted February 22, 2016 in Thon 2016 by Centre County Report. Video posted February 21, 2016 in Thon 2016 by Centre County Report. 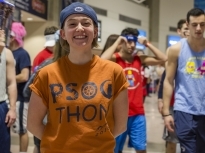 Story posted February 21, 2016 in Thon 2016 by College of Communications. Video posted February 21, 2016 in Thon 2016 by 46Live. Video posted February 21, 2016 in Thon 2016 by Centre County Report . Photo posted February 21, 2016 in Thon 2016 by Comm 469 students. Video posted February 21, 2016 in Thon 2016 by The Centre County Report. Video posted February 20, 2016 in Thon 2016 by Lesly Salazar. 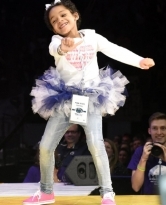 Story posted February 20, 2016 in Thon 2016 by Nick Thomas. Video posted February 20, 2016 in Thon 2016 by Centre County Report. Photo posted February 19, 2016 in Thon 2016 by Comm 469 Students.